When we moved from Pennsylvania to Florida back in 2008, one of the less serious things we knew we would miss was Wawa. Obviously, we'd miss our family, friends, church, etc., but there are just some things about living in the Northeast that aren't found in other parts of the country. It's like that everywhere, I suppose...those little things that locals get used and then miss when they move away. Wawa is one of those things for anyone who has ever lived in the Northeast. It's a part of daily life in a way that may not even be noticeable until you don't have it. For those of us who grew up with it, it's not really a conscious thing, but just...how it is. When you live in the Northeast, you don't "go to the gas station," or "go to the convenience store," or even "go to 7-11." You simply go to Wawa. After we moved, I would say it took a solid 6 months before we stopped missing Wawa on a regular basis. There simply wasn't anything even remotely close around here. Sure there are gas station convenience stores, but nothing quite the same. We would try to describe Wawa to friends we made here and they would say, "Kind of like 7-11 or am/pm?" to which I would answer, "Yeeeeeeeah, kind of...well...no, not really." So you can imagine our excitement when Wawa announced in 2010 that they were expanding to central Florida. The first store opened last year, and we were there. There was huge excitement with both the Orlando mayor and state governor showing up for the celebration. Then the second store opened later that week. This store was much closer to where we live, but still a little bit of a drive. 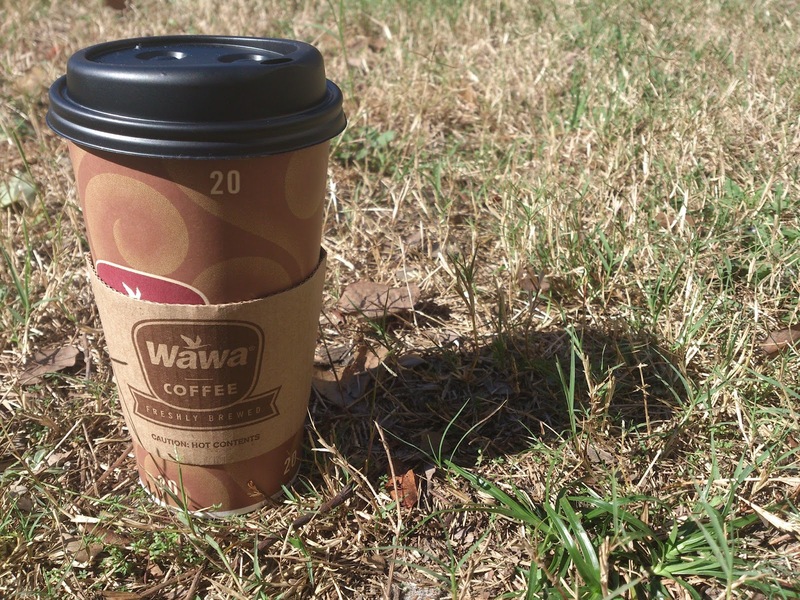 All in all, Wawa opened 5 stores in 2012, with another 25 stores opening each year through 2015. The store closest to work opened last week. All of my coworkers have jumped on the band waggon, too, many saying things like, "Okay, I can see why you were excited." We have visited several times since the store opened, and last week, one my coworkers asked me, "So are you super excited to have Wawa back in your life?" Well, sure, of course I'm excited. But at the end of the day it's just a food store, albeit a really good one. It's not so much finally having it back, or "oh em gee, so excited!" as it is a return of a life habit. Think about it...I don't ever remember not having Wawa around. As far back as I can remember, I was going to Wawa with my parents. It really is a way of life up there. So you can imagine how moving away from that, while not life changing by any means, definitely meant a change in the way you think about stopping for gas, or quickly grabbing food, or stopping for coffee.